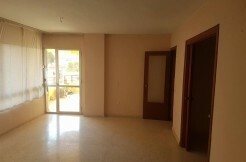 This fantastic studio is located in Calle Piragua, in Torre del Mar. Has a great location as it is very close to the beach and to the town´s center. It has been completely reformed and the acommodation comprises a very spacious lounge/dining room, with a fitted kitchen and a very large bathroom. This flat is located on the 5th floor with east orientation and lovely views and a total of 42m2. This property also has a communal swimming pool and a tennis court ideal for practicing sports. The building has two lifts.